Combine your meeting with great, educational and unique activities and excursions in the UNESCO area. Below are suggestions for activities that suit small and large groups, with something for every occasion and season. fjordsafari rib tours - all year! FjordSafari use open RIB boats with a maximum of 12 guests, ensuring a personal experience with the guide and a chance to get close to small villages and waterfalls along the way. Your guide will share stories, local history and even some tales from this spectacular area, and on calm days there is a chance to see some of the wildlife that lives in and around the fjords. FjordSafari has a capacity of 60 people between April and October, and 36 people between November and March. This guided snowshoe hike will take you into our local mountains, for an exceptional view of the fjord at Stegastein viewpoint in Aurland. Enjoy the breathtaking view of the Aurlandsfjord and experience how it is to hike on traditional snowshoes. The spectacular landscape has shaped the way of life for generations and your guide will share stories, local history and even some tales from this spectacular area. For big groups we can arrange a different kind of snow experience around the Vatnahalsen area in the mountains above Flåm. Enjoy a break from a busy meeting day. Get new energy, new impulses and build team spirit! Join fun team building activities to strengten the team spirit and the unity! Let us customize the perfect program for you and your group! Enjoy an educational tour of the production room of Ægir Brewery, test your beer knowledge and use your senses and discover a new world of smell and taste while tasting our popular Æger beers! Storytelling, presentation and beer tasting. Listen to and be part of our exciting story, and sample five of our most popular Ægir beers. Price: NOK 295 per person in groups of mininum 15 people and NOK 4425 total for groups with less than 15 people. Enjoy the great outdoors in our beautiful UNESCO heritage area. If the group is interested in hiking, we can recommend the Aurlandsdalen or Flåmsdalen valley, and for biking we strongly recommend Rallarvegen! 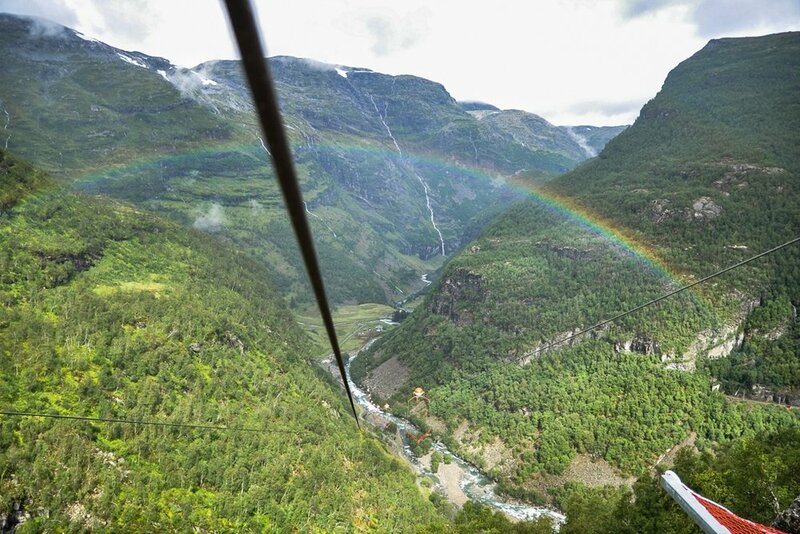 This can be combined with lunchboxes from us, with a guide from our sister company Flåm Guideservice, and activities like Flåm Zipline along the way!